Jaipur, March 25: In a dramatic turn around of events in the fourth match of the Indian Premier League (IPL), Kings XI Punjab captain Ravichandran Ashwin mankaded Rajasthan Royals opener Jos Butler at a time when he was hitting every ball to the boundary. 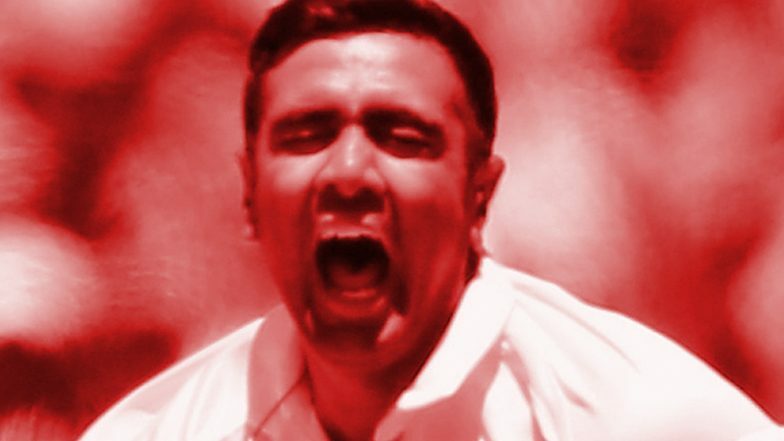 The controversy erupted when Ashwin without giving a warning mankaded the flamboyant England player. He became the first victim of Mankading' in the history of the IPL. VIVO IPL 2019, RR vs KXIP: Chris Gayle's 79 Puts Punjab in Drivers Seat. Match fixing, lack of sportsman spirit - IPL at its best. Though, it was according to the rules of the game, but Ashwin was criticised for not showcasing the sportsmanship spirit. Many believe that Ashwin should have given warning to Butler first. As per the laws of the game, the third umpire declared Buttler out but such a dismissal had always raised eyebrows as it is considered against the spirit of the game. As expected Buttler seemed furious and had a heated exchange with Ashwin before leaving the field. Rajasthan were 108 for one in 12.4 overs at that stage. However, some players also came in support of Ashwin. Mohammed Kaif believed that Butler should be given warning. He tweeted, "It’s within the laws of the game but Jos Butler should have been warned by Ashwin before that. Very Surprised ! Remember Ashwin doing the same in an international game where Sehwag withdrew the appeal." Former England captain Michael Vaughan criticised KXIP Captain for mankading Butler. He tweeted, "The more you see this the worse it looks .. @josbuttler is still in his crease as @ashwinravi99 is in his delivery position .. Warning or not this is very very Poor from the Skipper ... in time I think he will look back and regret this .. #IPL"
Former Indian spinner Murali Karthik came in support of the KXIP captain. Katik Tweeted, "Well done @ashwinravi99 proud of you.. This spirit of cricket has just become a thing of convenience." Former Indian keeper Deep Dasgupta also supported Ashwin. One of the netizens termed it against the spirit of the game. Earlier, KXIP scored 184 runs with Chris Gayle scored 79 of 47 balls. After a disappointing start as KL Rahul dismissed early, Gayle took charge of the innings and put pressure on the RR bowlers with his clean hitting. Rajasthan openers started well and put a first wicket stand of 78 runs. But after Butler was given out, Rajasthan's innings crumbled and managed to score only 170 runs in their quota of 20 overs.